Signatur was a media workshop for youths, administered by BEK and managed by Maria Oy Lojo. I was a guest instructor and collaborator for the spring semester. 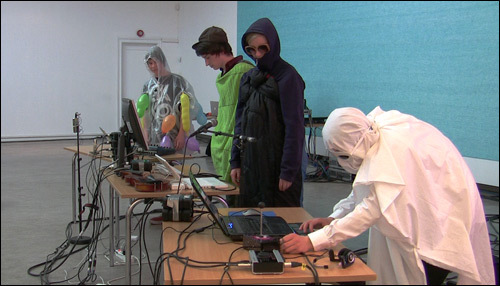 We investigated sampling, remixing, composing and performing electronic music, working towards setting up a final live performance. There is a bunch of reports from the workshop in the blog.